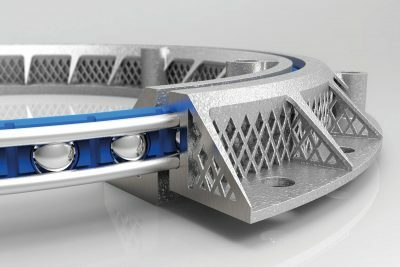 Lightweight bearings from a printer ? 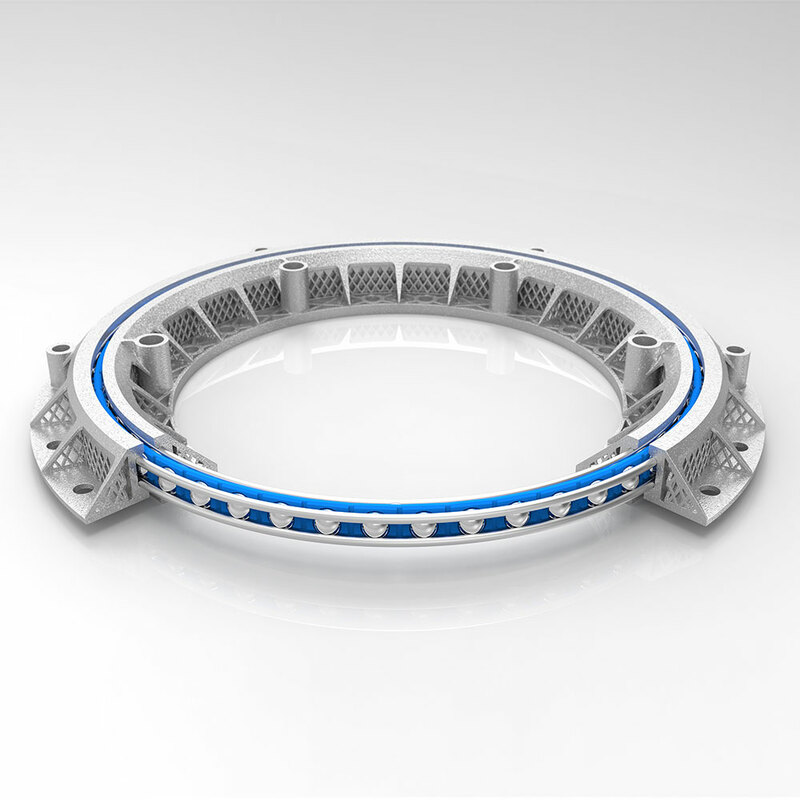 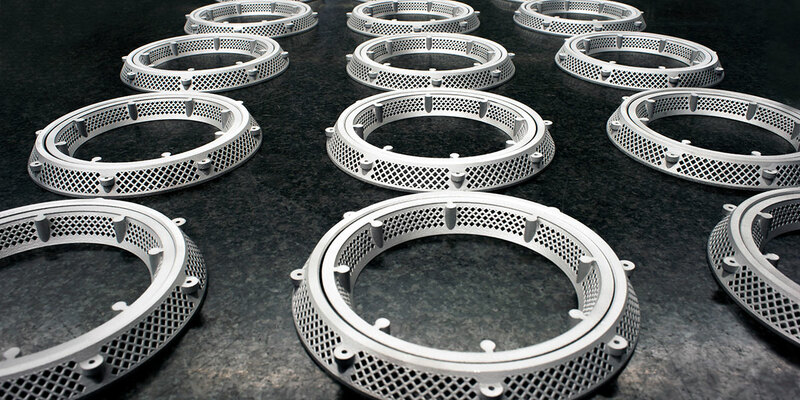 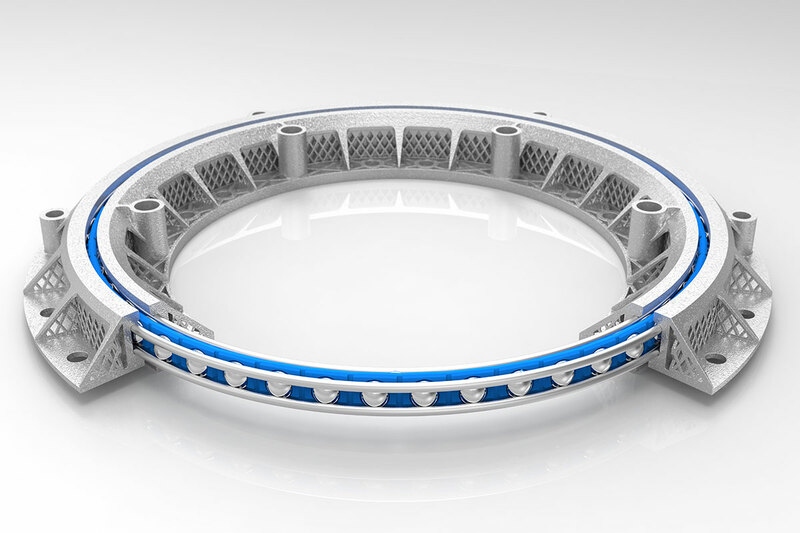 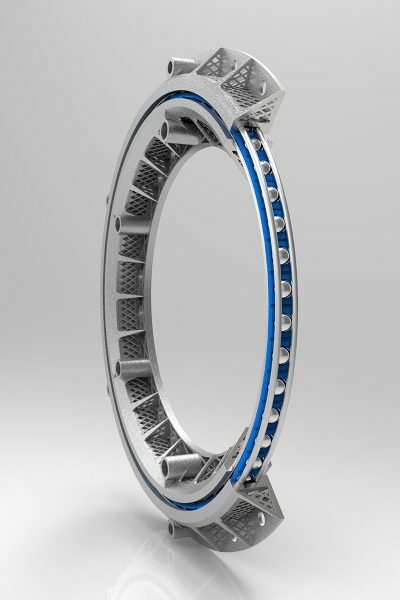 traditional bearings take metal & reduce the content to produce inner & outer rings. Franke 3D print bearings reverse this process & use an additive concept by using laser sintered aluminium particles to create the housings enabling super lightweight internal honeycomb housings to be produced.